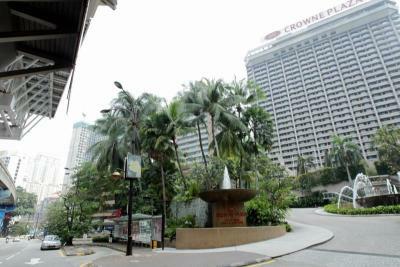 Tradewinds will demolish Crown Plaza Mutiara Hotel and Kompleks Antarabangsa to make way for a mixed-development project, called Tradewinds Centre. PETALING JAYA: The redevelopment of some of the buildings in Jalan Sultan Ismail, one of the longest and main arteries in the heart of the capital, is gaining further traction to unlock the value in the prime location and meet the future demands of the Greater Kuala Lumpur. Just last week, Permodalan Nasional Bhd (PNB), which acquired the former MAS building in late 2006 for RM130mil in cash, awarded a RM673mil contract to Ahmad Zaki Resources Bhd to demolish the podium building and build a 50-storey tower hotel with six levels of basement parking. PNB also intends to refurbish the 35-storey office building on the site. And in June, Tradewinds Corp Bhd confirmed in a news report that it would demolish the Crown Plaza Mutiara Hotel and Kompleks Antarabangsa to make way for a mixed-development project, called Tradewinds Centre. It is reported that the project might cost around RM6bil. The redevelopments in Jalan Sultan Ismail is not only to further unlock the value of the land there but also to catch up with the growth and development of nearby prime areas such as Kuala Lumpur City Centre (KLCC) and Bukit Bintang. Tradewinds group chief executive officer Shaharul Farez Hassan told StarBiz that the company planned to develop Tradewinds Centre as an iconic building as well as a destination. “Key to the development will be the concept of urban and environmental harmony. “As one of the few green buildings in Kuala Lumpur, Tradewinds Centre's outstanding architecture will be complemented by a central Grand Plaza covering a large area of about one acre. This plaza will feature broad open spaces, breezy courtyards, lush landscaping and much more,” he said. Shaharul said the company had consciously allocated a Grand Plaza in the centre of the development, much like to the sunken plaza in Rockefeller Centre in New York and Roponggi Hills. “The Grand Plaza would be a focal point for the public and users to enjoy the stunning environment, socialise and relax. “It can also be used for festive events such as New Year countdowns or other celebrations. “Its signature profile will greatly contribute to the overall composition of the city skyline. “Its large scale and memorable public plaza unites neighbourhoods in the urban fabric, creating a dynamic focal or meeting point that is systematically linked via pedestrian-friendly walkways and public transportation,” he said. On how the multi-billion ringgit project would further unlock the value of the land, Shaharul explained that the existing buildings were conceived during a period of lesser competition. “Since then, the city and its buildings have grown to meet future demands for better quality, larger spaces and added features. “While such buildings can be retrofitted and enhanced to address competition, there are limits to such a strategy. Looking towards the future, we have made the difficult but necessary decision to totally remake this location to serve the city's needs far into the future,” he said. Furthermore, Shaharul said, the plot ratio of the existing buildings was small, at about five, thereby resulting in gross under-utilisation of the potential property value. “Planned as an iconic, integrated and modern redevelopment with grade A building features, Tradewinds Centre would maximise its potential more than doubling the amount of allowable high value space,” he said. Real estate consultant Rahim & Co group of companies executive chairman Senator Datuk Abdul Rahim Rahman said that in his opinion based on market demand and environment, hotels were more likely a better decision than office building as there was a oversupply of that now. “And the Government is also confident that tourist arrivals would be good. Furthermore, the hotels rates in Kuala Lumpur are more competitive that in Singapore, Hong Kong and even Jakarta,” he said. As for Jalan Sultan Ismail, Abdul Rahim said it was the prime location before the development of the KLCC which was now fetching better rates. He added that Jalan Sultan Ismail was a long stretch where rental rates were RM5 per sq ft (psf) as opposed to RM8 to RM10 psf in KLCC. “Although Jalan Sultan Ismail is not the prime location anymore, it will still remain as one of the prime locations in Kuala Lumpur,” he said. Nevertheless, Abdul Rahim said it might be easier to get better yields in Jalan Sultan Ismail. “For instance, if one wants to get a good apartment in KLCC area one has to pay around RM1,500 psf, but in Jalan Sultan Ismail due to its long stretch one can get a good apartment at RM800 psf, where it would be easier to get 5% to 7% returns. Mass appeal: Chen posing with a model of the company’s property development project in Kajang. KAJANG: MKH Bhd (formerly Metro Kajang Holdings Bhd) will derive considerable leverage from the mass rapid transit (MRT) line which runs close to its property developments and the two MRT stations that will be coming up here. The MRT project aside, group managing director Datuk Eddy Chen Lok Loi said the company was also seeing improvement in its financial figures as a result of its rebranding exercise undertaken a few years ago. “The quantum leap is waiting to happen for MKH given our strategic landbank of 500 acres to 600 acres in Kajang and Semenyih, excluding the 550 acres turnkey project in Puncak Alam, Selangor,” Chen told StarBiz. The company is planning to launch properties with an estimated gross development value of more than RM5bil over the next seven years in Kajang and Semenyih, including its Puncak Alam RM135mil turnkey project from Puncak Alam Resources Sdn Bhd. Chen said:“We are targeting to launch our Puncak Alam's mixed development which will include affordable housing by year-end or early next year. “The year 2017 will be significant as our Puncak Alam project will be completed and the MRT line in Kajang will be up and running thus enhancing the value of our residential and commercial developments. “At the same time, our plantation will attainfull maturity with expected yields of between 28 and 30 tonnes per ha per year,” he pointed out. MKH, which used to derive its revenue from property development and investment, has added oil palm plantation to its current core business. The plantation division will start to contribute positively from 2013 onwards. “All these years, we wanted to go into the plantation sector to balance the ups and downs characterised by the property development market,” said Chen. It has a total of 15,000 ha planted as at June 2012. Harvesting area as at June this year was about 7,740ha . Its plam oil mil commenced crude palm oil production at a rate of 60 tonnes per hour and this can be upgraded to 90 tonnes in time to come, he said. 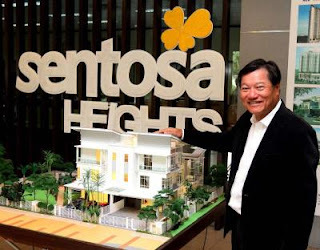 He said the company's earnings momentum was also gathering pace, boosted by higher property development activities which saw its third quarter revenue for the 2012 financial year reaching RM376mil, or a 73% increase compared to the same period a year ago. Property development saw an increase to RM274.1mil from RM118.7mil for the nine-month period a year ago, representing an increase of 130% year-on-year. The key contributing projects are Hill Park Homes, Pelangi Semenyih 2, its Kajang 2 township developments and the Saveille@Melawati condominium. Its property investment division, with a value of RM216mil, contributed RM22mil revenue for the third quarter under review, reflecting a marginal increase of 2.8% compared to the same period a year ago. “This division is providing a steady income, contributing between 12% and 13% to our group profit,” said Chen. MKH's third quarter net profit is expected to reach RM47mil compared to RM21mil for the same period last year, representing an increase of 124%. Property development and construction division contributed the largest segmental portion of the profit for the three quarters, at RM66mil, compared to RM12mil for the same period a year ago, reflecting an increase of 447.5% increase. “We saw a four-fold increase profit from property development and higher average rentals and lower operating costs,” said Chen. Despite competition heating up with the entrance of new and bigger players in Kajang and Semenyih like SP Setia Bhd, Mah Sing Group Bhd and Sunway group, Chen said MKH's cutting edge would be its land cost, which was considerably lower than its competitors and its reputation on a home turf. 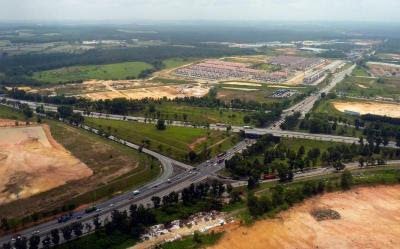 Booming: Upgrading of existing roads and construction of new highways within Iskandar Malaysia in recent years have improved connectivity and accessibility within south Johor. JOHOR BARU: Developers can expect the “feel good factor” in the Iskandar Malaysia property market to continue in 2013, based on the number of transactions taking place this year. KGV International Property Consultants (M) Sdn Bhd director Samuel Tan Wee Cheng said most new property launches in the area were well received by buyers. He said completed but unsold properties or property overhang was no longer a dilemma faced by developers in south Johor unlike 10 to 15 years ago, and local developers had learnt their lesson well from the 1997-1998 Asian financial crisis as they were caught unaware, resulting in many abandoned projects and unsold properties. “Iskandar Malaysia will continue to drive the growth of the property market in south Johor in years to come,'' Tan told StarBiz. From 2006 until end-June 2012, Iskandar Malaysia had recorded total cumulative committed investments of MR95.45bil in various sectors with 43% of the investments already realised. Domestic investments constituted 62% (RM58.95bil) of the total investments of RM95.45bil, while the remaining 38% (RM36.50bil) were from foreigners. Tan said Iskandar Malaysia was more viable compared with other economic growth corridors economic growth corridors in Malaysia, including the Northern Economic Region, East Coast Economic Region, Sabah Development Corridor and Sarawak Corridor of Renewable Energy. Located in the southernmost part of Johor, Iskandar Malaysia covers 2,217 sq km and is three times bigger than Singapore. Tan said as a government-backed economic growth corridor, Iskandar Malaysia had strong backing fin terms of funding for infrastructure development projects. The Government had spent RM7.31bil on infrastructure in Iskandar Malaysia since 2006 on the upgrading and construction of new roads and highways, flood mitigation, river cleaning and public housing. “Improvement in connectivity and accessibility makes most areas within the Iskandar Malaysia flagship zones attractive to house buyers,'' said Tan. The completion of the New Coastal Highway, the Eastern Dispersal Link Expressway and the Southern Link would help to push demand for properties, Tan said, adding that among the areas benefiting from better road linkages were Bukit Indah, Perling, Sutera Utama, Nusa Bestari, Seri Alam, Kempas, Setia Tropika, Senai, Kulai, Nusajaya, Skudai and Tebrau. He said one advantage about Iskandar Malaysia was that most the of roads and highways were toll-free unlike in the Klang Valley. Tan said prior to the inception of Iskandar Malaysia, property prices in south Johor had not seen many changes but now the prices were on the upward trend. He said, for instance, the price tag for an intermediate double-story link house now ranged from RM200,000 to RM500,000 each while a bungalow was now selling at between RM1mil and RM5mil. “We anticipate that the property prices in south Johor will continue to be on the upward trend due to several factors such as the Singapore factor,'' said Tan. Johor Baru continued to be a prefJohor Real Estate and Housing Developers Association (Rehda) branch chairman Koh Moo Hing concurred with Tan that the property market would remain positive next year. He said Iskandar Malaysia would continue to contribute to the positive growth in the Johor Baru property market as it helped to boost demand for houses in south Johor. With the completion of most flagship projects this and the next couple of years in Iskandar Malaysia, they would bring economic spills over to the property sector, Koh said, adding that the influx of domestic and foreign investors and the presence of new residents and workers in Iskandar Malaysia would create demand for residential properties as well as office spaces. “Our Rehda members with projects in Iskandar Malaysia have reported good response for their new launches with no slowdown or property overhang,'' said Koh. He said statistics compiled from developers taking part in the Malaysia Property Expo (Mapex) Johor Baru in 2009, 2010, 2011 and up to May 2012, showed that they recorded better sales. “The last four to five years were considered good for our members as they were able to keep the number of unsold properties to a minimum,'' he added. Koh said while Tebrau and Skudai would remain the traditional hot spots for property development projects in Iskandar Malaysia, others areas were becoming popular with buyers.